First published in 1998, this volume is a comparison of three European states: the United Kingdom, the Netherlands and Germany. The book investigates the effect of different policy stances on the volume and tenure of new housing production. 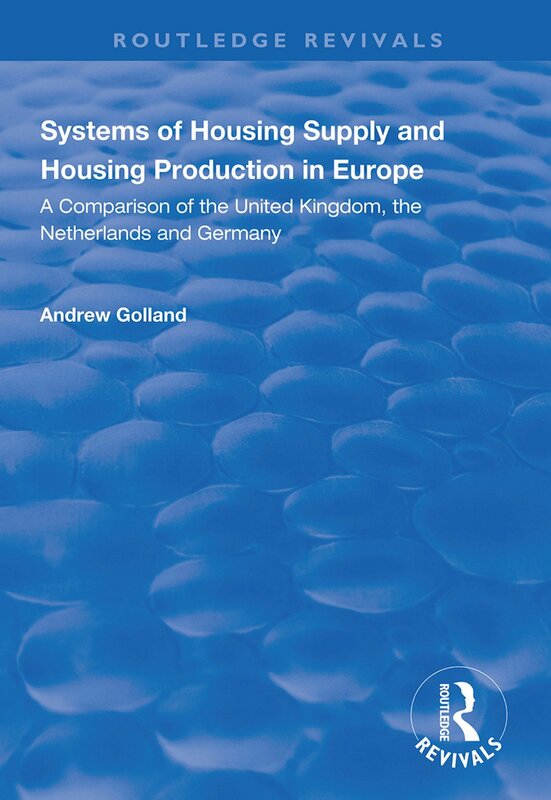 Examining a number of contemporary theories, the methodology considers the role of markets, political systems and cultural factors in explaining why housing production outcomes differ. Comparative housing studies can be criticized for a number of reasons. Sometimes the theoretical framework lacks raison d’être; other times the approach comprises a purely descriptive ‘country-by-country’ overview. This study differs in the emphasis given to methodological problems ad in the approach to comparing systems, which is on an issue-by-issue basis. The conclusions show that systems of supply in which governments intervene significantly, often regulate production more successfully than those in which production is mainly market driven. The findings will be of interest to practitioners, researchers and post-graduate students of European housing.